Take I-35Wto Hwy. 174 Burleson exit. Right at light on Hillery (bottom of bridge) and turn right onto service road. Hello, I’m interested in 413 Hanover Street and would like to take a look around. 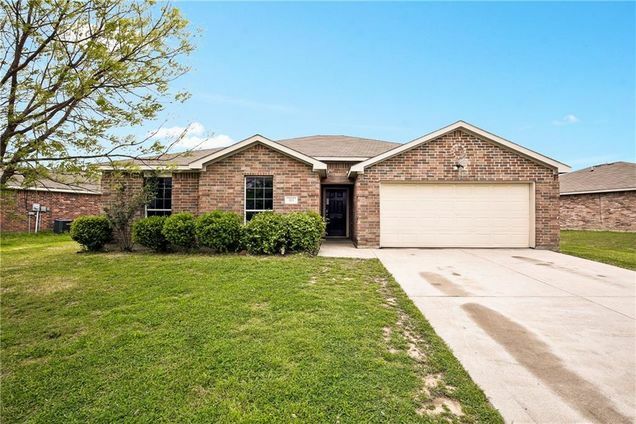 The details on 413 Hanover Street: This house located in Hampton Place Burleson, Burleson, TX 76028 is currently for sale for $195,000. 413 Hanover Street is a 1,634 square foot house with 4 beds and 2 baths that has been on Estately for 8 days. 413 Hanover Street is in the Hampton Place Burleson neighborhood of Burleson and has a WalkScore® of 39, making it car-dependent. This house is in the attendance area of Jack Taylor Elementary School, Hughes Middle School, and Burleson High School.